135 Sullivan St. Map it! Peek inside more stores like this in New York. See what's near Once Upon a Tart. Read user reviews on Once Upon a Tart. 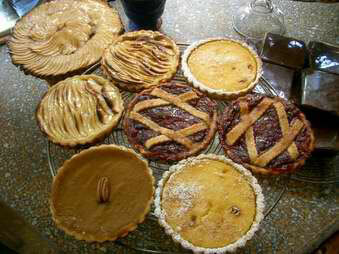 Add a comment on Once Upon a Tart. Visit the official Once Upon a Tart site. The YummyBaguette website is in no way affiliated with Once Upon a Tart in New York, but don't hesitate to let the owners know how you found them!